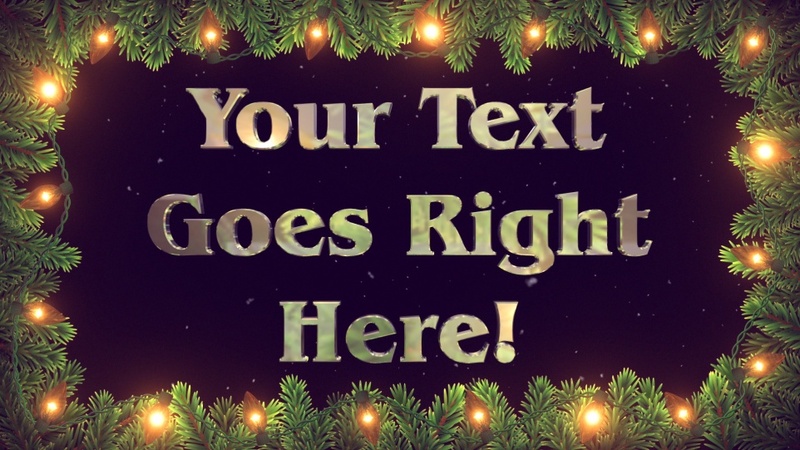 Your text is rendered in 3D, surrounded by flashing christmas lights and foliage which are reflected in the chrome text. Snow falls against a night sky in the background. Perfect for any Christmas or Thanksgiving occasion. The font used in this design is Benguiat Bold. If you would like to use this in your own designs, it is available here.